I had been standing on the dam for some time this morning, enjoying the sunshine. I turned to start back toward my truck when I realized that I was being watched. The 4-year-old eagle was calmly observing me and I returned the favor. We spent the next 15 minutes watching each other. What a joy! Finally a fish caught his eye and he made a long swoop toward the lake. He missed the fish, made a swing over the east end of the dam and headed north. 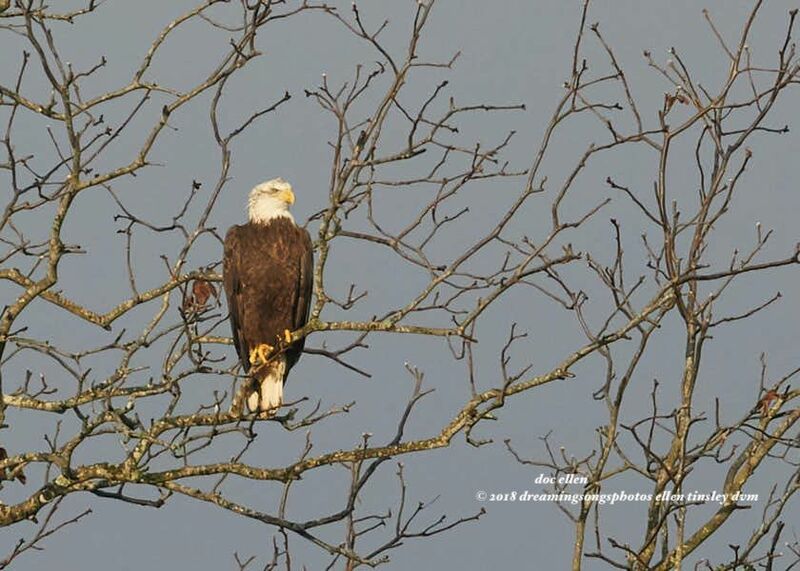 Posted in birds, Eagles of Jordan Lake, Haw River, Jordan Lake, Jordan Lake State Park, photography, raptors, wild birds and tagged as American bald eagle, bald eagle, bald eagles of Jordan Lake, eagle, eagles of Jordan Lake, Haw River, immature bald eagle, immature eagle, Jordan Lake, Jordan Lake State Park, raptor.